Easter is upon us, and this year I’ve decided to go against the traditional lamb by instead opting for my all time favourite: roast chicken. 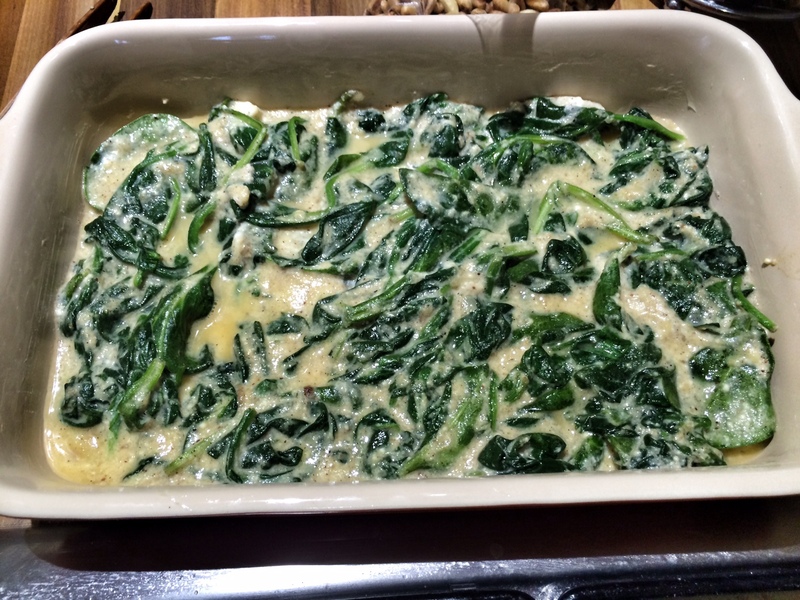 I’ve served this with a couple of sides including the seasonal spinach – the recipe for which I’ve borrowed from the queen of home cooking herself: Nigella Lawson. 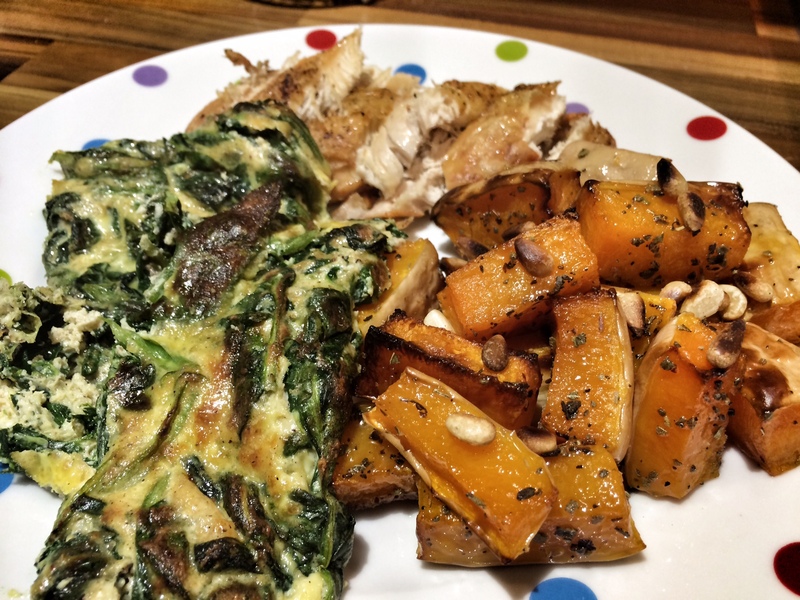 I used two chicken breasts (with skin on) for this recipe to serve 2, but feel free to cook the whole bird and double the quantities for the squash and spinach to make sure there’s enough for 4 people. Put the chicken breasts in a small oven-proof dish and drizzle over a tablespoon of olive oil and season with salt and pepper. Put into the hot oven and cook for 40-45 minutes. 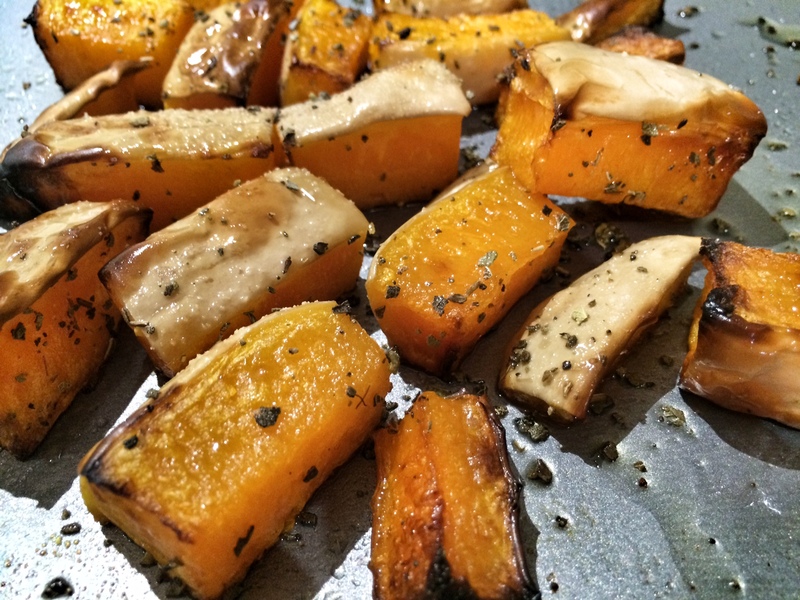 Cut up the butternut squash into inch-sized pieces and tip onto a baking tray. Season with the sage, salt and pepper then drizzle with olive oil. Put in the oven alongside the chicken. About halfway through cooking, give a stir around to make sure each pieces gets evenly cooked. Prepare the spinach dish, by putting a tablespoon of olive oil in a large frying pan (or wok) and turn the heat up to medium-high. Add the garlic cloves and leave to fry for a minute or two until they start to turn golden. Turn the heat down, add all the spinach leave and toss around and allow to wilt, which will take a couple of minutes with some enticing prodding of the spoon. Then, once the spinach starts to wilt take off the heat. Add the ricotta, parmesan, nutmeg and stir together. Leave for a minute or two to cool then add the two beaten eggs. 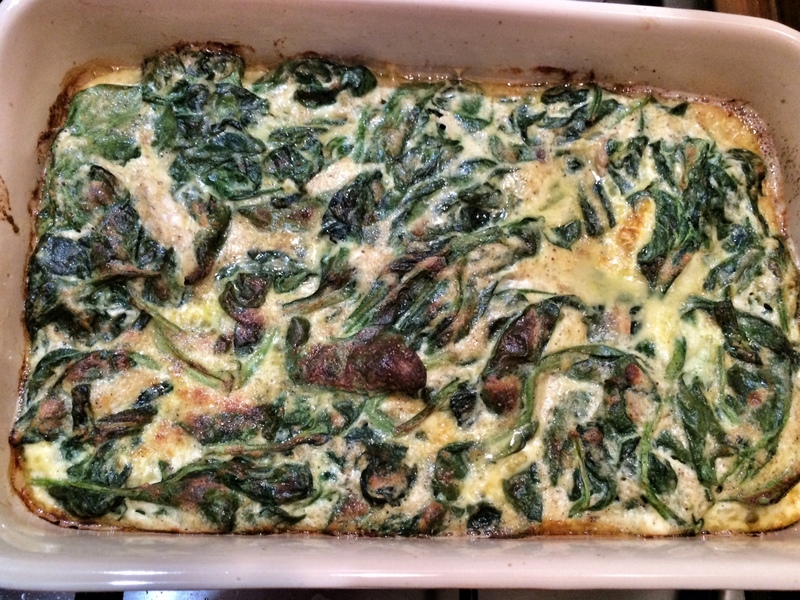 Transfer the spinach mixture to an oven-proof dish. Once the chicken has only 15 minutes left, turn the temperature down to 180ºC and put the spinach dish into the oven. Everything should be ready at once. Sprinkle the butternut squash with pine nuts and you’re ready to serve and enjoy.